Rapid relief from heartburn, acid indigestion or gas. 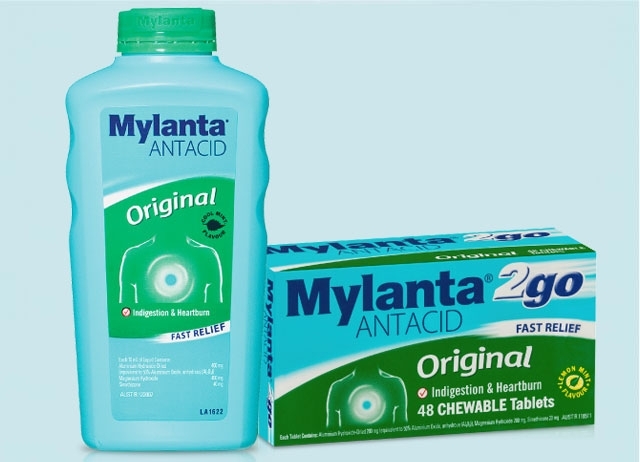 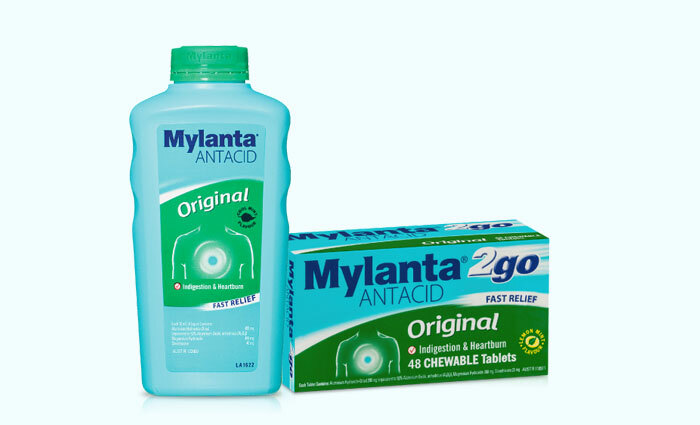 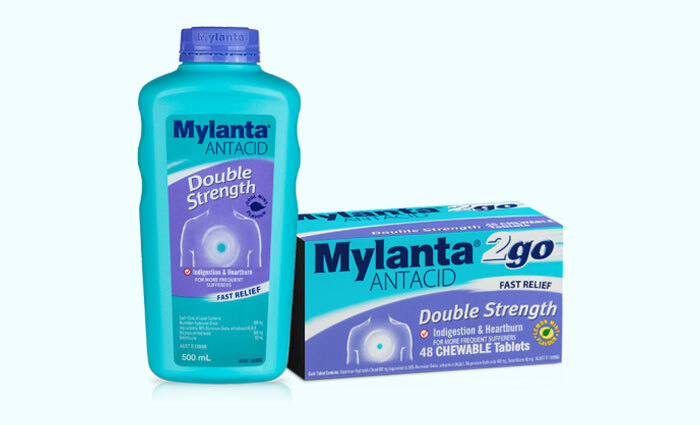 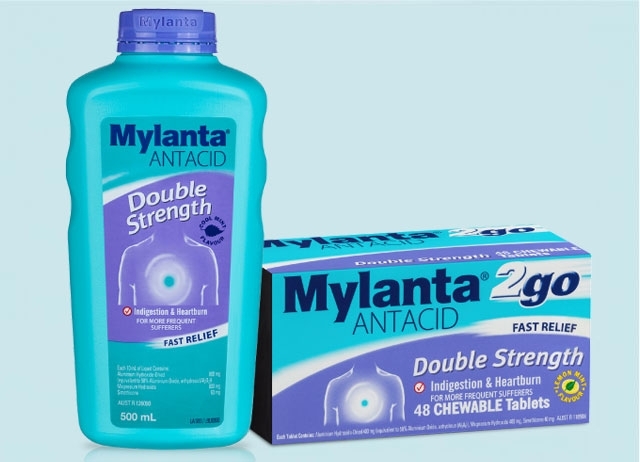 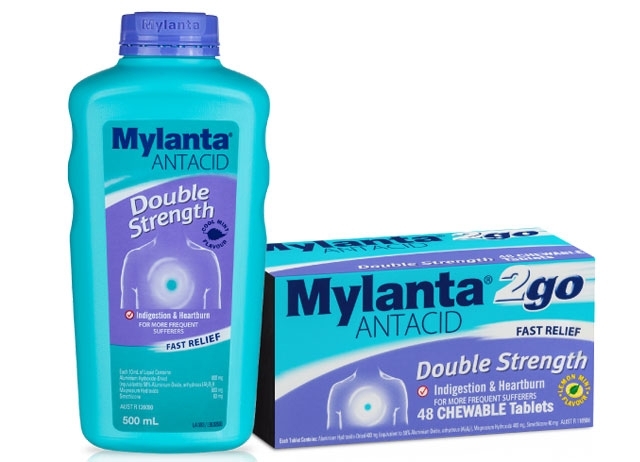 Mylanta’s great-tasting soothing liquids and chewables work at the source and neutralise excess stomach acid, so you get fast relief. 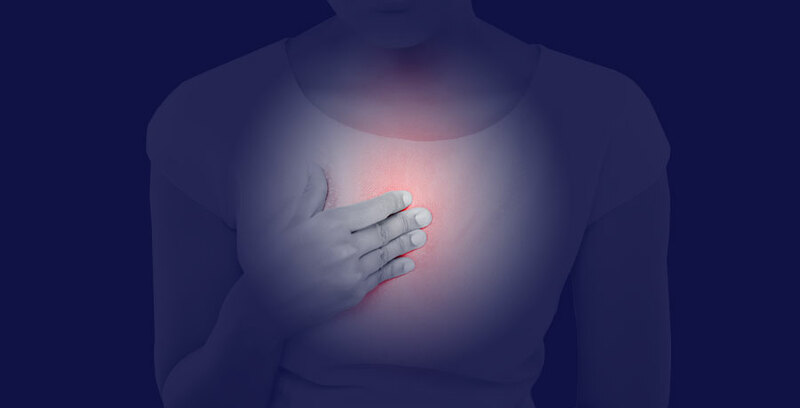 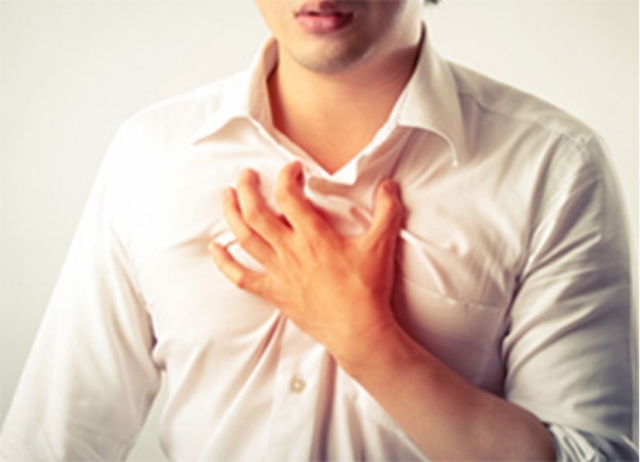 Indigestion covers a variety of symptoms including pain near the breastbone, nausea or bloating.